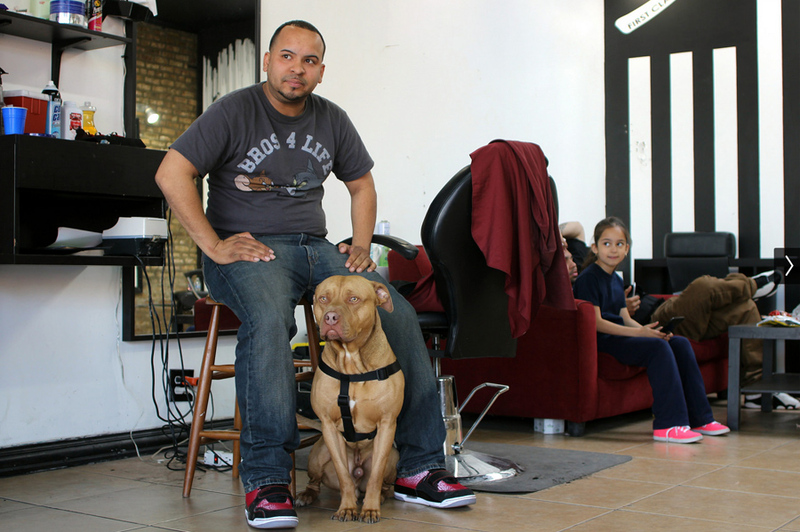 The shop I featured last week, “Corner Barber Shop” in Lakeview, conjured the nostalgic yet timeless atmosphere most often associated with old school neighborhood barbershops. It had thrived for decades upon a business model that was essentially unchanged as the shop passed from one owner to the next–it was a great place to get a shave and a haircut in a friendly, informal setting. It wanted to be one thing, and do that one thing well. 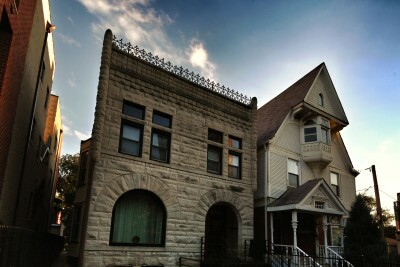 This week, I found myself drawn to explore a new shop in Portage Park that has a very different vision. 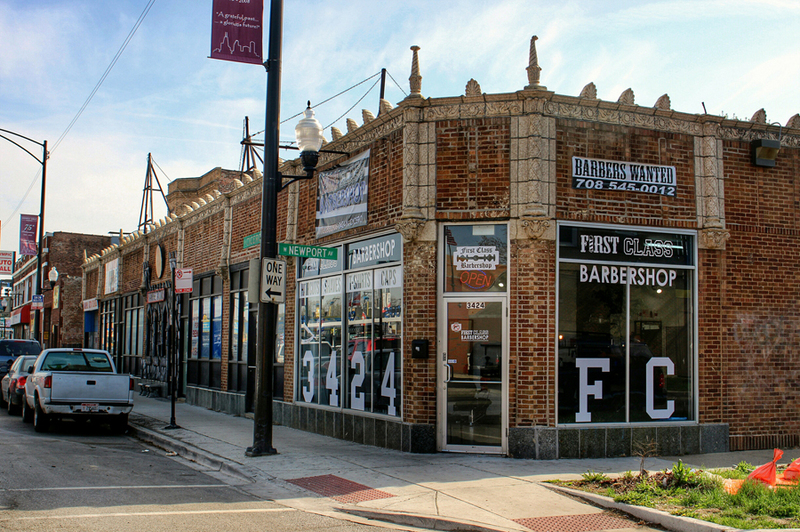 First Class Barber Shop, located at 3424 N. Cicero, strives to be more than just a place to get a haircut. Shop owner Bryan Barajas is a young self-taught artist with a big vision and a variety of creative talents. 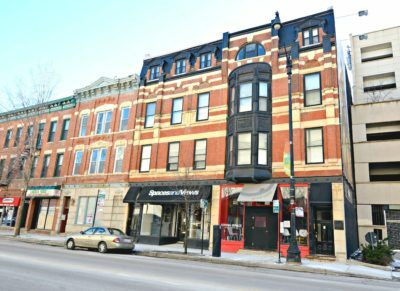 In 2012 he transformed this storefront, formerly a beauty salon, into a chic and very masculine space to serve as headquarters for his urban streetwear brand, barber shop services, and artistic collaborative events. The shop’s mascot is Tiny, a handsome pitbull. Tiny is a very sweet dog, and loves attention. First Class Barber Shop is open Monday through Saturday, 9:00 am – 8:00pm. 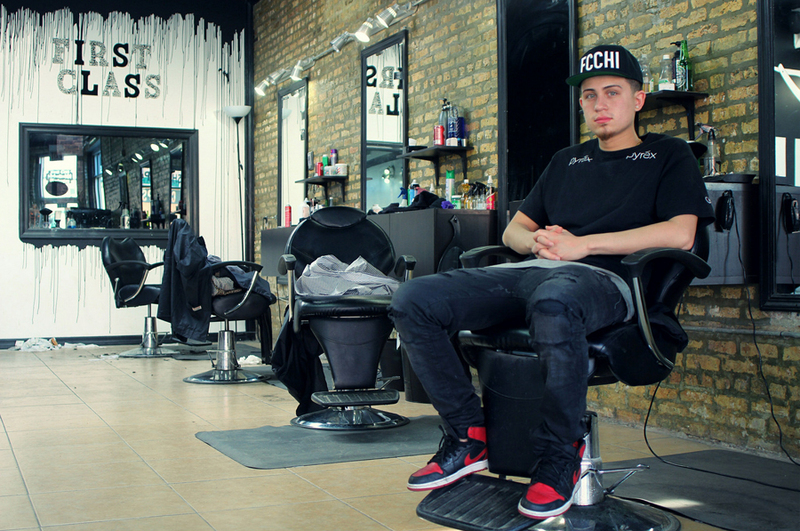 Stop in, and check out one young entrepreneur’s vision of a barber shop for the 21st century man.